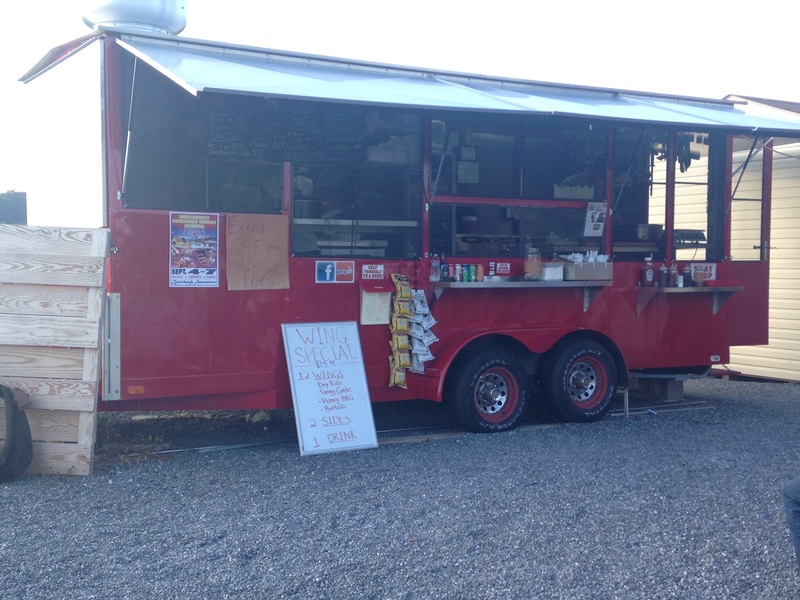 Editor’s Note: Stampede Smokin’ BBQ has relocated to a new, permanent location along Route 10. The restaurant is now known as Stampede Barbecue. We visited for a blog shortly after it opened in June 2018. 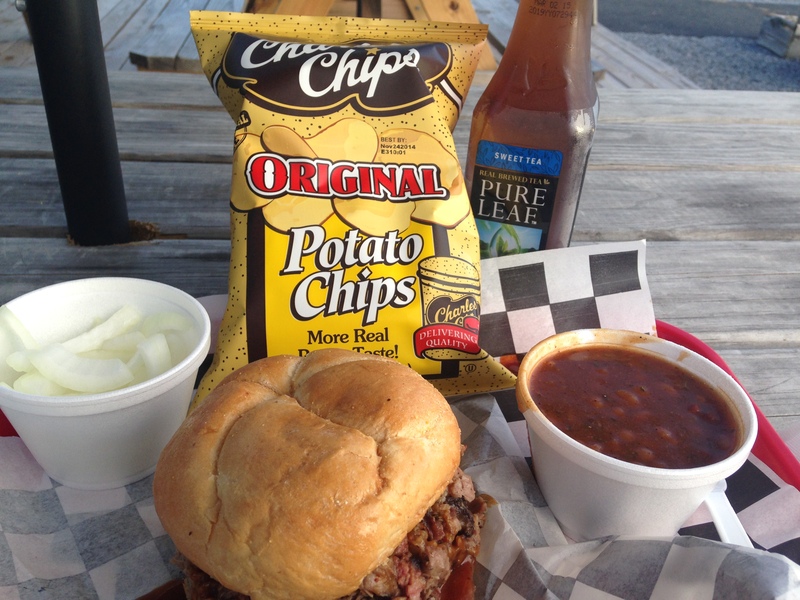 The food industry is one of trends, and barbecue has been trending for some time now. Grocery stores have entire aisles devoted to gourmet barbecue sauces, restaurants are serving more slow-cooked and smoked meats, and entire television shows are being devoted to the art of the ‘cue. Berks County has always been a place that is known for chicken pot pie and other Pennsylvania Dutch specialties, but thanks to the success of places like Muddy’s Smokehouse Barbecue, slow cookers have started to pop up along the road throughout Greater Reading. Stampede Smokin’ BBQ is a place that has taken the Muddy’s model and made it their own. The bright red trailer sits along Route 23 in Morgantown, just across the Berks border in Lancaster County. 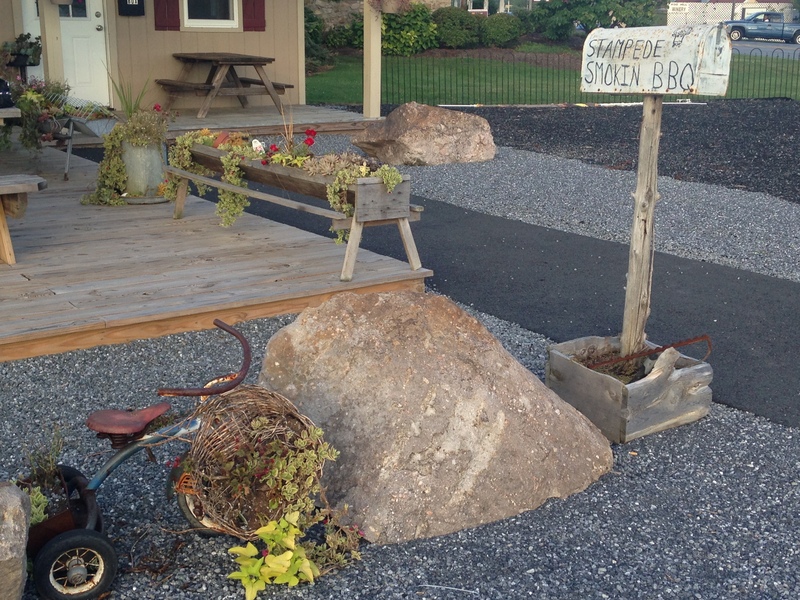 The entry way is all stones, with a small patch of grass marking the parking spaces. An actual house sits on the property, an extended front porch serving as the seating area with brand new picnic tables, oversized umbrellas serving as sun shades on hot summer afternoons. Stampede’s trailer has been parked full-time at this spot since last year, serving up beef brisket, pulled pork, sausage, ribs and chicken. The menu is scribbled on a chalkboard. In the center, boxed out from the rest of the items is Stampede’s specialty sandwich, the Dude. The Dude is aptly named as it takes a hungry dude to finish a sandwich that includes heaping portions of both smoked sausage and beef brisket. After squirting it with a stream of sauce and tossing on a cup full of chopped onions, I dug in. The brisket was so tender, falling apart with every bite while the sausage had picked up all of the flavors from the grill, making it extra smoky and satisfying. But the sauce was what brought it all together. It was sweet and tangy and just blended perfectly with the meat to create an outstanding sandwich. Equally impressive were my side of barbecue beans. Though they were clearly baked in barbecue sauce, the flavor was closer to that of a meatless chili thanks to the inclusion of kidney beans and a few dashes of chili powder. I was prepared to order a side of fries as well, but once I saw the bags of Charles potato chips hanging on the side of the trailer. 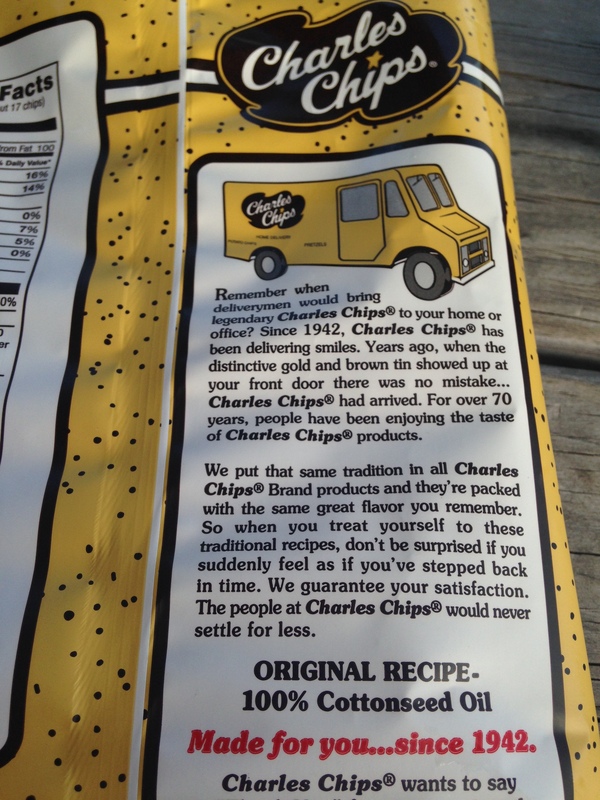 I could devote an entire blog to my love of Charles chips, and how “The Chip Man” used to deliver tins of them to our door each week when I was a child. As I ripped open the bag, all of those childhood memories came rushing back to me. Unlike other local brands like Good’s and Dieffenbach’s, Charles chips are light and airy, and I savored every bite. This was, as a whole, one of the best barbecue meals I have had. And though $14 had seemed a little high when I was rung up, I can say that it was money well spent. After finishing my meal, I grabbed one of Stampede’s take-home menus. On it are four things that the business strives to do: to provide excellent smoked meats, sides and service, to be consistent, to carry forward a good name, and to shine a light in a barbecue world. To shine a light in a barbecue world. A barbecue world is exactly the kind of world I want to be living in. And after my visit, I can confirm that Stampede Smokin’ BBQ is shining a bright light.